Lily Chiam, Musical Talent, Composer, Educator, Entrepreneur and Event Producer, brings passion, energy & excitement to all her projects. 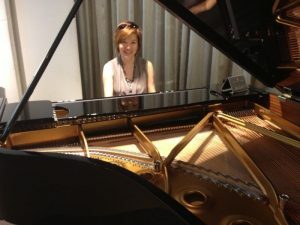 An accomplished Pianist, Lily has performed in Canada, United States, UK, China, Japan, India, Bulgaria, Ukraine, Qatar, Singapore, Malaysia and Brunei. She is a music composer of 4 albums, and the author of the highly effective EMGenius&Fun Fast-Track Toddlers Development Programs. Lily is the regional representative of the South East Asia Directors of Music (SEADOM) and a Music Consultant to many music institutions. She has also served as an adjudicator for many international music festivals and is often invited by Corporate Firms as an Event Producer and Motivational Speaker. Currently, she is the Director and founder of Expression Music Academy in Brunei (3 branches: Kiulap, Airport Mall and Kuala Belait) and Expression Music Inc at Makati, the Philippines as well as License Provider to another music establishment in Serangoon Gardens in Singapore. 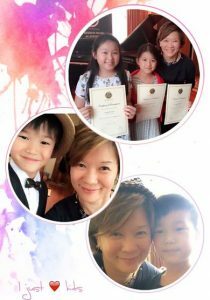 She is also the Manager of Shian Li Chiam, ‘Junior Grand Champion Instrumentalist of the World’ at the World Championship of Performing Arts in Los Angeles, California in 2014) and Eden Chiam (Top 1st Place of the Pop Adult Voice at the 4th Hong Kong International Music Festival). Lily was born in Kuala Belait, Brunei Darussalam. Having been caught on camera as early as 6 months old playing on a toy piano, Lily’s love for music has grown into a great passion for life and the expression of the arts for all. 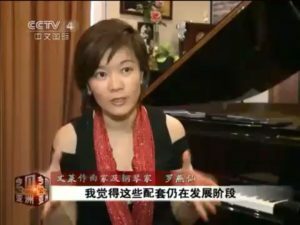 As a young girl, her parents disagree of her learning piano because they think it’s just a luxury expense. But Lily did not give up, at the age of 10, she was helping her mom to do side work so she can earn and save money to sustain her love for music. Later on, she purchased her first keyboard where she started learning on her own. Lily’s childhood reflected a sound and somewhat conservative approach to learning but she always harbored her dream to further her musical passion, but it wasn’t until she was 16 that her English teacher recommended she take her first formal piano lesson, she was to learn fast as the power of her passion was given opportunity to live out loud. In an almost unheard of speed Lily finished five Grades in less than 2 years. In 1992 Lily went to Canada to North America Baptist College. 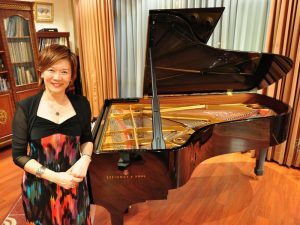 She became one of personal students of the famous late pianist Dr Lejano in Edmonton and did her Bachelor of Arts in Music at University of Alberta, Canada. She successfully obtained a double degree in AAR Music and BA. Lily started performing tours in both North America (Canada and USA) as well as Asia. 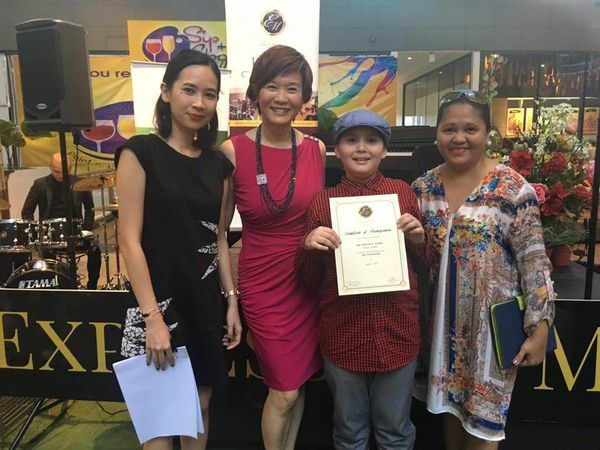 In 1996, Lily returned to Brunei and founded Expression Music Academy. An academy that has now become a premier musical establishment in Brunei with 3 different branches. Expression Music Academy has also expanded overseas with 1 branch in Philippines (2016) and 1 franchisee in Singapore (MidiWorld). Lily’s vision is to nurture music students and music lovers in Brunei Darussalam through providing quality music teaching, learning resources, instruments supplies and services. With over 1,000 students weekly Lily and her staff of highly qualified professionals make fulfilling the dreams of many young musicians to bring out the best in each of them, through lessons, performances as well as concerts. It is with great pleasure that I introduce the amazing talents of Lily Chiam. She is fast becoming one of the brightest artist composers in her region. Her music rings with clarity that places the album is a collaboration spanning over one year. We had the pleasure of recording in Sydney, Melbourne, Adelaide, Los Angeles and New York. TOGETHER is a labour of love intended for your pleasure. Enjoy it many times over. Her powerful inspiration and imagination are reflected in her bold, driving and colorful paintings employing interesting range of concepts and mediums. Lily enjoys poetry and writes a lot of poems and inspiration quotes on facebook and twitter. Co founder of Expression Music Sdn. Bhd., Expression Music Academy and Expression Music Inc. Regional Representative for Rockschool, UK. In you I found, sung by Eden Chiam, achieved Youth Pop Vocal #1 at 4th Hong Kong International Music Festival, 2017. Triumphant Leap, performed by Shian Li Chiam on the Violin, became Junior World Grand Champion at the World Championship of Performing Arts (WCOPA) at LA, USA, 2014. Manaku Pergi, sung by Zul Faden (Zulf), was awarded #1 at the Pelangi Awards 2010-2011 at Radio Television Brunei. Together, 1st International Album, release was televised on National TV, Brunei and World TV, Europe, also aired on National Radio, Hotels, Shopping Malls, events, etc, May 11, 2008. 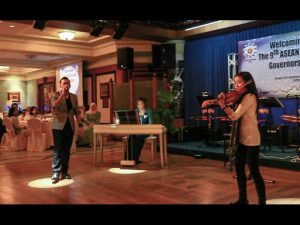 Your Presence, EP, launch was televised on National TV, Brunei, also aired on National Radio, Hotels, Shopping Malls, Events, etc, Jun 05, 2010. Expression Music Genius Sing Along Album, 2011. Expression Music Fun Sing Along Album, 2011. Apr 10, 2004 “The Dream Begins” Mega concert at Empire Theater, Brunei Darussalam. Apr 30, 2006 “The Dream Expands” Mega concert at Empire Theater, Brunei Darussalam. May 11, 2008 “The Dream Ascends” Mega concert at International Convention Centre, Brunei Darussalam. Jun 05, 2010 “Leap of Creation” at Jerudong Amphitheater, Brunei Darussalam. Nov 25, 2012 “Where The Heart Sings” at AirportMall, Brunei Darussalam. Oct 19, 2014 “Leap of Creation 2” at Pusat Insani, Seria, Brunei Darussalam. Mar 27-29, 2017 “EM Festival” at Manila, Philippines. Philippines Independence’s Day Talent Shows and etc. SEADOM (South East Asia Director of Music) in Singapore, Thailand, Vietnam, Malaysia.